The vintage sound of classic blues, jellyroll and jinx. the way it used to be. Chris O is a solo artist, based in Australia. Singer, songwriter, and instrumentalist, she plays dobro, banjo, lapslide, ukes, and plain ole guitars, to create a classic blues vibe, channeling the music of the great old timers like Memphis Minnie, Skip James, Mississippi Fred McDowell, the Blues the way it used to be! On this album Chris plays a Martin D15, Vantage Cutaway & Cort steel string guitars, a National Style 0 14 fret Resonator, Lanakai 8 string ukulele, Hohner Harps, and Balinese bamboo flutes. Derek Phillips plays his Beeton Resonator guitar on Blue Wednesday. Blockfrei composed the Tabata beats for Shake em on Down. All songs arranged by Chris Okunbor, except for Blue Wednesday (arranged with Derek Phillips). Cheers to Ruth Lawson for the cover photo, and Melanie Moor from Melli m Designs for the graphic design. The CD was recorded and engineered by Eliot Reynolds at Song Cave Studios Hazelbrook, NSW. 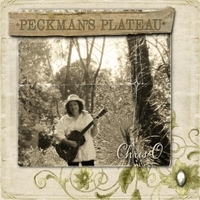 Chris acknowledges and pays respect to the Traditional Custodians of the Land on which this album was written and recorded, the Gundungurra and Darug peoples.